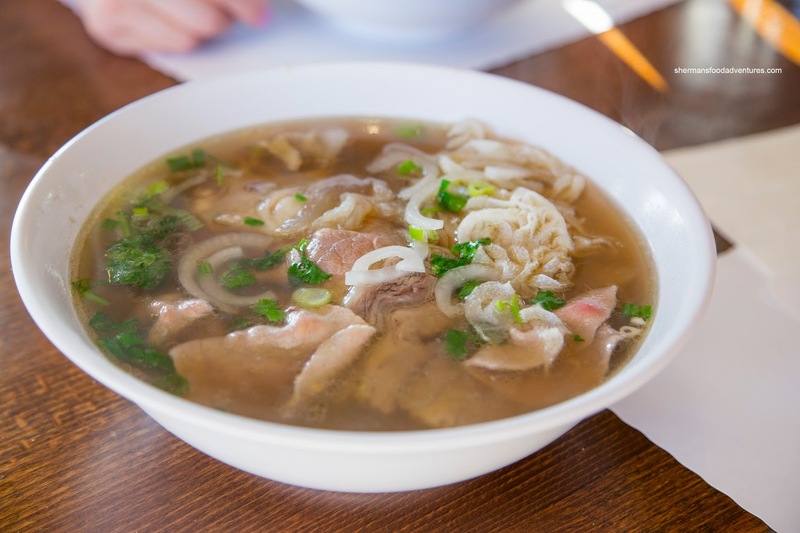 As much as the heat outside was not conducive for slurping on a bowl of hot Pho, that was my wish for lunch. Tired of all the unidentifiable chunks of fried food eaten in the past week, I had to get something soupy. Costanza wasn't too hot (sorry for the pun) for the idea, but really, don't they eat Pho in Vietnam in the scorching heat anyways? He stated that majority ruled, and yes, he was in the minority... So off we headed South of Disneyland over to Pho Lu. 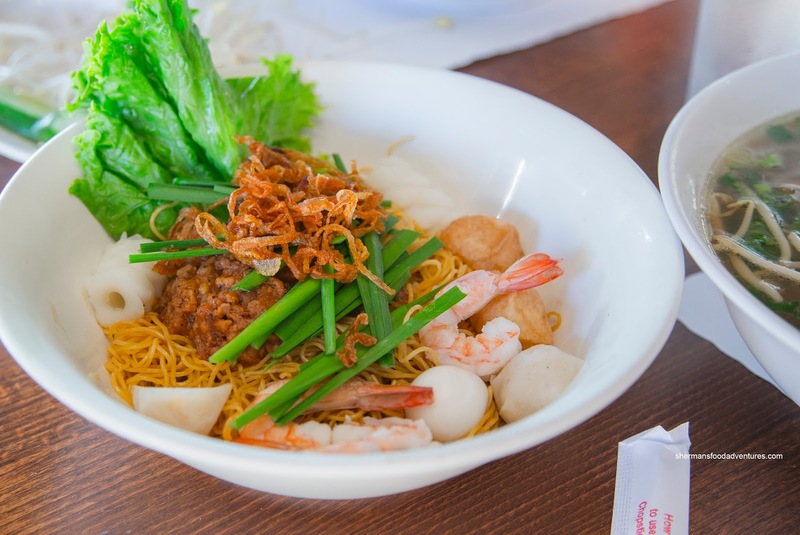 Viv had the large Phở Đặc Biệt and it was a modest portion size with "just enough" rice noodles. They were effectively firm enough while being slippery and not clumpy. Again, there was "just enough" meat that was mostly tender and fatty. As for the broth, it was quite mild with some meatiness, equal sweetness and a strong licorice hit from the star anise. We thought it was an "okay" bowl of Pho. I went for the Dry Noodles and the meat sauce was mostly sweet (in fact, too sweet). The fried shallots added both texture and aromatics while egg noodles were chewy and nicely al dente. I found the modest amount of seafood was prepared properly where the shrimp exhibited a snap while the squid was not overly chewy. I added an order of Spring Rolls (since I wasn't full) which were pretty good with a firm crunchy rice wrapper. The meat was moist and flavorful from the fish sauce and onions. The side of lettuce, mint, perilla leaves and pickled carrot were a nice addition. 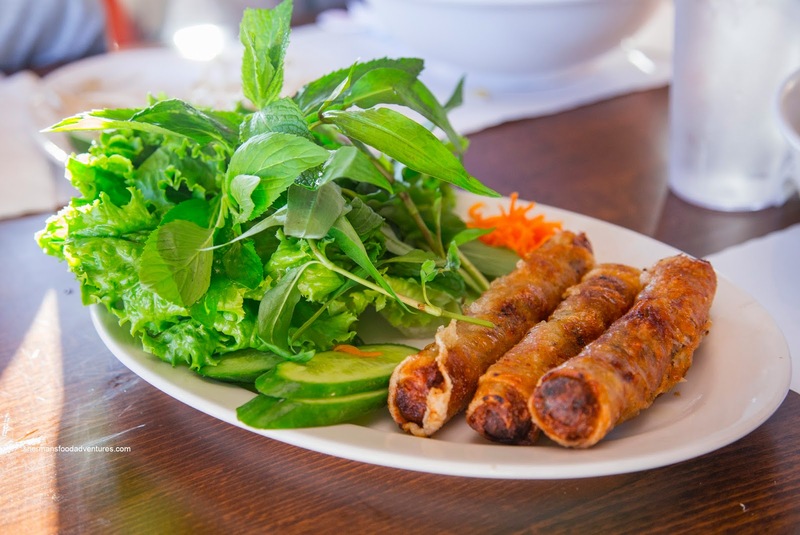 Wrapping the spring rolls in the lettuce made us feel healthier... LOL... 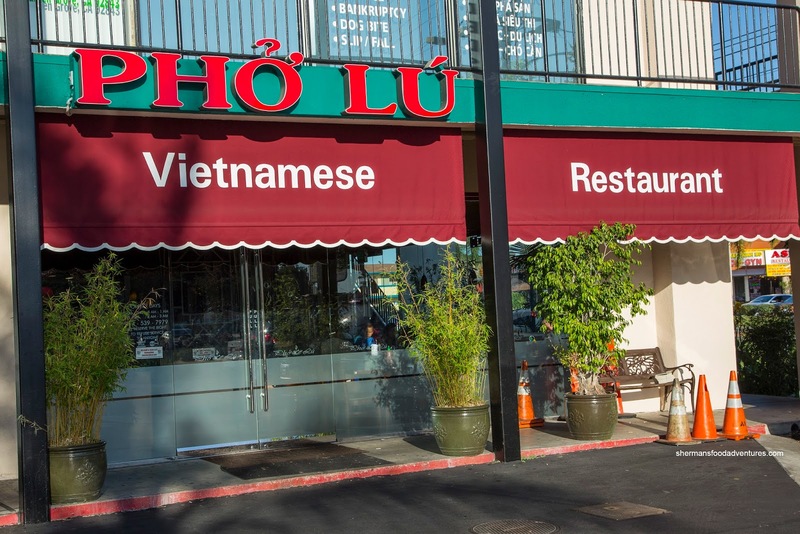 Overall, we thought the dishes we tried at Pho Lu to be "okay". It did the trick, but we've definitely have had better. Now the one thing that really left a lasting impression was the lack of service. Yes, Asian restaurants are famous for that, but we really couldn't even flag down anyone for anything.